Dong Thap (VNA) - People travelling to the Mekong Delta during Tet should visit Sa Dec flower village in Dong Thap province to admire flowers blooming in vivid colours and the bustling atmosphere. Located some 150km southwest of Ho Chi Minh City, Sa Dec is the largest supplier of flowers to southern provinces. It has some 2,000 households who chiefly earn a living by growing and selling flowers and ornamental trees. 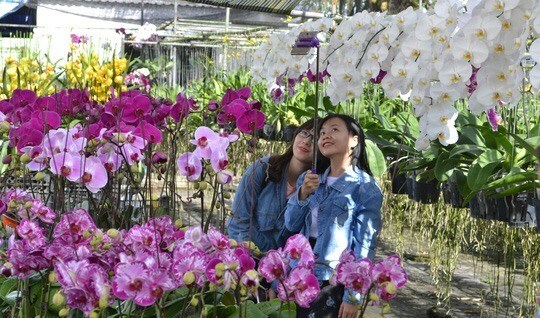 Tourists should drop by the village by the 20th of the lunar year’s last month, which falls on February 5 this year, when flowers are trucked or loaded onto boats to flower markets in HCM City and other parts of the country.